MASONS AND OTHER OCCULTISTS REVERE THE NUMBER 33 ABOVE ALL OTHER NUMBERS. MANY ACTS OF WAR, MURDER, AND ASSASSINATION HAVE OCCURRED ON OR NEAR THE 33RD DEGREEE PARALLEL. IS IT COINCIDENCE BAGHDAD, IRAQ IS LOCATED ON 33RD NORTH PARALLEL? Title: MASONS AND OTHER OCCULTISTS REVERE THE NUMBER '33' ABOVE ALL OTHER NUMBERS. MANY ACTS OF WAR, MURDER, AND ASSASSINATION HAVE OCCURRED ON OR NEAR THE 33RD DEGREE PARALLEL. IS IT COINCIDENCE BAGHDAD, IRAQ IS LOCATED ON 33RD NORTH PARALLEL? 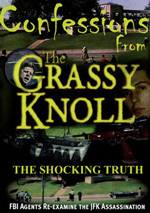 "DVD - The Grassy Knoll: The Shocking Truth - FBI Agents Re-examine The JFK Assassination"
"DVD - Elite Serial Killers of Lincoln, John Kennedy, Robert Kennedy, Martin Luther King, Jr."
Thus does God Himself provide the most powerful, most succinct, definition ever of a pagan: they worship and serve the creature more than the Creator! Thus, pagans have worshipped aspects of nature like the Sun, Moon, Stars (Astrology), Planet Earth (Mother Gaia), rivers, snakes, frogs, insects, and man. For all this, God has historically brought each pagan nature and/or culture into severe physical judgment, destroying them completely. One of the major created things that pagans worship are Numbers. Occultists literally worship science and the mathematics underlying science. They literally believe that numbers possess inherent power, all their own. Listen to the explanation of one of history's greatest Satanists, W. Wynn Wescott, who was extremely influential in the latter part of the 19th Century. 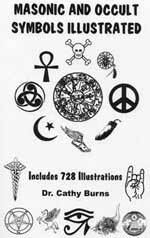 The Satanist always places great power in numbers, especially the Black Magic Satanist. As we have stated in earlier articles, Daniel 8:23-25 tells us that the religion practiced by Antichrist is Black Magick; further, Revelation 17:17 tells us that the final 10 kings are of the same mindset and religion as Antichrist. Thus, we were not surprised that both Presidents Bush are Black Magic practitioners from the Skull & Bones Society, and that President Clinton was a practicing Black Magic Satanist. Satanists believe that a carefully planned event must be carried out according to the correct numbers, or it may not be successful. They go to great lengths to make an event occur according to the correct numbers. During the aftermath of the 9/11 attacks, we demonstrated how the attacks were carried out according to the Number '11', their number of Antichrist. Let us give you a few examples of when the Illuminati undergirded a key event using the occult signature of the number 11. When the Illuminati ended the First World War, they had just successfully completed the first war of Albert Pike's occult plan to produce Antichrist [Read NEWS1056]. Thus, they deliberately ended it on the 11th Month [November], the 11th Day, at the 11th hour. The signing of the Armistice agreement was thus undergirded by three elevens! When the Illuminati assassinated President Kennedy, he was killed according to the occult number signature of eleven . He was killed in the 11th month, on the 22nd day, and on the 33rd parallel. He was also killed in the Masonic Dealey Plaza, the most powerful secret society in the world today to whom the number 11 is extremely important. We shall revisit this subject later on, as we discuss the number '33' from a different angle. The Number 11 was a most powerful occult signature underlying these events. When they were successfully carried out, occultists the world over knew exactly what had happened and who had carried it out, and for the purpose of setting the stage for "Number 11" himself, Antichrist. Why is the number 11 important to the occultist? As Wescott explains, "... so 11 is the essence of all that is sinful, harmful, and imperfect." [Ibid., p. 100] Thus, while 11 is very important, multiplication's are also important, such as 22, 33, 44, 55, 66, 77, 88, and 99. "I considered the  horns, and behold, there came up among them another horn, a little one [Antichrist] ..." Bible scholars have always called Antichrist the "11th Horn". Thus, this occult and Illuminist preoccupation with the Number 11 as they strive to produce their Antichrist, is dictated by Biblical prophecy concerning Antichrist. 33 MAY BE MOST SACRED, MOST POWERFUL NUMBER OF ALL! Solomon's Signet Ring With Seal Diagram, "Isis Unveiled", by Madame Blavatsky. This drawing depicts Blavatsky's crude handmade drawing of King Solomon's signet ring, with its seal. Notice the uneven hexagram and the numbers '333' placed at different points on this seal. What is the occult fascination with the number '33', and its extension, '333'? Once you understand the belief Satanists have about this number, you will understand certain events in history more completely -- for example, when Adolf Hitler planned his suicide, he decided to shoot himself on April 30, 1945, at precisely 3:30pm, thus setting up a '333' by which the deed was done. He believed that this '333' would allow him to pass quickly through the reincarnation cycle so he could come back to earth as the real, historic Antichrist. Now, let us examine the power the Satanist believes resides in '33' and '333'. We shall quote from White Magic practitioner, Elizabeth van Buren, in her book, "The Secret of the Illuminati", as she openly reveals Luciferian thought and values in her New Age book. Thus, King David reigned in Jerusalem for 33 years.! Now, van Buren tells us exactly why numbers are important, so that she may tell us exactly the significance of the number, '33' and '333'. An occultist assigns the number '333' to "death, resurrection, and ascension", and consider it to be most powerful. Now you can understand how important it was to Adolf Hitler to arrange the timing of his death to form a '333' -- he wanted to attain the number of "death, resurrection, and ascension" so that he might come back more quickly in the reincarnation cycle, this time to be the REAL Antichrist. "Indeed, there is not death, as can be discerned clearly ... There is only Change! The message ... is that there is a balance which one can achieve by which one can escape from the wheel of change, from life to death. This balance can be found by becoming fully aware so that both worlds are equally real to one. This awareness is found when the third eye is fully opened, the eye the symbol of which is the number '33' ..."
"Each '3' of the number '33' can be seen to be three-fold in the same way as a triangle has three sides: 3+3+3 = 9. In the temples of Atlantis and Egypt the candidate for initiation passed through nine degrees, or rather the three-fold three degrees, into the mysteries. These degrees symbolized the re-entering of the womb in order, after the three times three months of gestation, to be reborn into the world of Spirit-consciousness." The highest meaning of the number, '33', is that it represents the highest spiritual consciousness to which man can attain, and that '333' represents the man-god becoming immortal through his "death, resurrection and ascension", just as the occultist considers Master Initiate Jesus to have done! At this point, the man-god experiences a fully-functional, visible Third Eye open up within him, an eye people can physically see. This is the personal aim of all occultists. They seek to escape the death/reincarnation cycle, so they never die again! Further, they seek to bring a "select number" of citizens of the earth along with them, so that the entire world can begin to go through a path to this highly exalted spiritual consciousness; at this moment, every one on earth will have a physical Third Eye, just as did the citizenry of Atlantis! Now, who is going to lead the peoples of the world into this highly exalted spiritual journey? The Masonic New Age Christ, of course! The number '33' is his highest number, and the number representing the spiritual path to perfection and physically immortality! The 20th Century was clearly the century in which God withdrew His restraining power enough so Satan could cause World Wars I and II to be fought exactly as the Guiding Spirit of Albert Pike revealed to him in 1870 [NEWS1056]. The stage was clearly being set in the last decade of the 20th Century for the Third World War to be fought, between Israel and her Arab neighbors. This coming war may explode into this global war, out of which will come Antichrist. The Second World War began in the year, 1939. The number, '39', is very special to the occultist, because it is formed by the multiplication of '3 and 13'. The number '3' symbolizes the Pagan Trinity, while '13' is the number of ultimate rebellion against God. However, World War II was made possible through the events of 1933. Let us review these key events now. January 30, 1933 -- Adolf Hitler was sworn in as Chancellor of Germany. [World Book Encyclopedia, Vol. 9, p. 239]. Note that this date also forms a '333'! Adepts the world over considered Hitler to the the "immortal god-man" until they realized he had chosen the "Left-Hand" path, the Evil path. At that moment on, all White Magic occultists opposed Hitler mightily. At his death, Hitler chose the day and the timing to form a '333', as we noted above. February 27, 1933 -- Hitler's Nazi thugs started the fire at the Reichstag parliamentary building, blaming it on the Communists. This fire enflamed the anger and imagination of Germans all over the nation, and led directly to Hitler gaining absolute power shortly thereafter. March 4, 1933 -- Masonic President Franklin Roosevelt was sworn in as President of the United States. Together with Rosicrucian Churchill and pagan Josef Stalin, Roosevelt formed the "planetary triangle" of nations known as the Allies, that would oppose the "planetary triangle" of nations known as the Axis Powers -- Germany, Italy, Japan. Thus, Roosevelt was sworn in during the 3rd month, 1933, thereby giving his inauguration an occult value of '333', just like Hitler's ascension to power! Thus, Satan had his men on both sides of the Atlantic: Black Magick Hitler and White Magic 33rd Degree Mason, Roosevelt. World War II was inevitable at this point. As we move forward in this article, we will focus on the number '33' and the way in which occultists have planned events and geographical locations around the 33rd Northern Parallel. You will be shocked at the bloody manner in which the New World Order will be established, just as this horrific "I Witch" symbol reveals. First, let us speak of the way civilizations fall either to the north or to the south of the 33rd Parallel. Most of the worlds wealth is stored north of the north 33rd Parallel. Major financial centers north of the 33rd Parallel include London, New York, Chicago, and Switzerland. Most of this planets six billion people live south of the 33rd Parallel. One of the major historic facts is that the entire system of satanic lore germinated in Babylon which is located precisely on the 33rd Degree Parallel! Until the time of the Grecian Empire, the center of power was south of the 33rd Degree, held by Egypt and Babylon. But, Greece and Rome began a movement of civilizations, where the center of power gravitated gradually northward. Since the reign of Sir Francis Bacon and Queen Elizabeth I (1590 - 1603), Rosicrucianism and Freemasonry have ruled England and Europe with an increasingly iron hand. Once Adam Weishaupt established the Masters of the Illuminati on May 1, 1776, Freemasonry has been gradually moving the entire world into the Kingdom of Antichrist -- New World Order. This is the society where the ultimate goal is that from "The Christ" on downward, all the peoples of the world still living after the "Cleansing Cycle" will so spiritually evolve, along the paths described above, that they will attain immortality on earth. The numeric symbol of this high degree of spiritual attainment will be '33', and the physical symbol will be the Third Eye that will open up physically between the eyes. This is the ultimate goal; unfortunately, to achieve it, a lot of people are going to have to die. The symbol to the left describes the tremendous amount of Witchcraft that will be required to achieve this utopian state, for only a select few are truly "worthy" to pass through the cleansing cycle to live in this "New Heaven and New Earth" over which The Masonic Christ will rule. "If a life is taken close to the northern 33rd Parallel, this fits with the Masons demonic mythology in which they demonstrate their worldly power by spilling human blood at a predetermined locale." This terrible concept is completely fulfilled by the bloody "I Witch" symbol, where human blood has been planned to be shed in huge torrents so that, at the right moment, The Christ may appear. Remember the Guiding Spirit vision of Albert Pike, January, 1870, in which the demon revealed that three world wars would have to be fought to establish the New World Order and its reigning monarch, Antichrist [Read NEWS1056]. Both world wars in the 20th Century have been fought to establish the One World Government, Economy, and Religion of Antichrist. This Third World War seems to be right ahead of us, and out of the smoke, debris, and blood of this war Antichrist will come striding. 2589 - 2566 BC. The Great Pyramid was built in Egypt by masons at a location not far south of 30 degrees latitude, and on 31 degrees longitude. How the Great Pyramid was built is unknown. Herodotus estimated that it would have taken 30 years and 100,000 slaves to have built it. 1470 B.C. (?) Atlantis destroyed, according to occult legend. A continent was reputedly the size of Europe. It boasted gorgeous cities, advanced technology, utopian government, and an occult, spiritually enlightened, citizenry, as we discussed, above. It suffered a cataclysm and was reduced to rubble that sank beneath the sea, lost forever. The legend of Atlantis has been around for thousands of years, and whatever its factual validity may be, it does claim a noble heritage, for its earliest known proponent was Plato. 1704-1662 B.C. The Babylonian empire was based in Babylon, very near the 33rd Parallel. The empire stretched from the Persian Gulf to the middle Euphrates River and upper Tigris River regions. 1025 - 945 B.C. Tyre, Lebanon: Home of King Hiram and the mythological Hiram Abiff, the Terrible Twosome of Masonic legend. Tyre is less than 20 miles north of the 33rd Parallel. Hiram was the King of Tyre in the reigns of David and Solomon. 875-848 B.C. The Biblical Mount Carmel is south of the modern city of Haifa and west of the Sea of Galilee in Israel. Mount Carmel is less than 20 miles south of the 33rd Parallel. At Carmel Elijah the Hebrew prophet stood against 850 heathen prophets and defeated them (1 Kings 18). 605-562 B.C. Babylon was the predominant city in the ancient world during the reign of Nebuchadnezzar II. Babylon is very near the 33rd Parallel, as we reveal above; but, the current city of Baghdad is located right on the 33rd Degree Parallel. Keep this fact in mind for later in this article. 1861 On April 12, Confederate forces fired on the Unions Fort Sumter in Charleston Harbor, South Carolina, igniting the Civil War. Charleston, at the 33rd Parallel, is known officially as the Mother Lodge of the World. This Lodge had been founded by Moses Lindo as the King Solomon Lodge. Thus, the Civil War was started at the 33rd Parallel, a very Masonic thing to do! On April 12, 1945, President Franklin D. Roosevelt met his sudden death of a cerebral hemorrhage at the 33rd Parallel at Warm Springs, Georgia. His last words were, I have a terrific headache. His medical chart is reportedly missing. Roosevelt was replaced by 33rd Degree Mason, Harry S. Truman. Weeks later, the nuclear bomb was dropped on the 33rd Degree Parallel, at Nagasaki, Japan! 1946 On August 19, 1946, Bill Clinton, the 42nd President, was born in Hope, Arkansas, at the 33rd Parallel. His parentage is disputed. As a young man, Bill Clinton was a Master Counselor of the Masonic-connected Demolay. (Demolay derives from the Grand Master of the Knights Templar, James deMolay (1244-1314)). 1968 On June 5, 1968, shortly after winning the California primary election, United States' Senator, Robert F. Kennedy, was killed at the Ambassador Hotel in Los Angeles, California, close to the 33rd Parallel and near a Masonic Lodge. 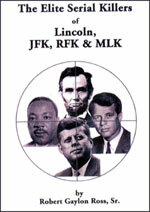 Like the assassination of JFK, this assassination contains the same occult "Master Numbers" -- 11, 22, 33. 1990-1991 Gulf Storm I occurred. Both Baghdad and the U.N. "No Fly Zone" is located at the 33rd Degree Parallel. Who chose this parallel to be the exact demarcation line as to be the line which marked the line beyond which Iraqi airmen cannot fly? 2003 -- Super Bowl was held at San Diego, which is right on the 33rd Degree Parallel. Nagasaki, Japan is on the 33rd Parallel. Hiroshima is 100 miles away. Historians have always been perplexed as to why the U.S. chose Nagasaki to hit with a nuclear bomb, since no meaningful military or political targets existed in this city. However, you can see how 33rd Degree Mason, President Truman, might have made the decision to attack Nagasaki, located on the 33rd Parallel. As you look carefully at this map, you can easily see how the 33rd Degree Parallel runs. You can see that the parallel runs right through Baghdad, with the ancient town of Babylon only about 25 miles away. If our Masonic leadership chose Nagasaki simply because it was located on the 33rd Parallel, is it any stretch of the imagination that the next target for U.S. nuclear attack might be Baghdad, or Iraq, for the entire country is located within a few miles within that parallel? News reports just a few days ago indicated the Pentagon was "possibly" planning to use nuclear weapons in Iraq. In fact, when you look closely, you will realize that the Plain of Meggido is located almost exactly on the 33rd Degree Parallel! Isn't it interesting that the final "Battle of Armageddon" will be fought on the 33rd Degree Parallel? Thus, the final "battle", or slaughter of the ages, will be fought on the 33rd Degree Parallel! In NEWS1761, we reached the conclusion that this coming war had nothing to do with the presence of Iraqi Weapons of Mass Destruction. This war also has nothing to do with terrorism, or with Iraq's supposed plans to use WMD on us or her Middle Eastern neighbors. Rather, this war is going to be waged simply because Iraq is in the center of world events -- at the 33rd Degree Northern Parallel. Just to the East of Baghdad is the Plain of Megiddo, where the final Battle of Armageddon will be fought! Between now and the Battle of Armageddon, Antichrist will arise, take the world through the events of Revelation, and then be seized. If this is God's timing for Antichrist to arise, Bush will lead the U.S. into this war, no matter what U.N. inspectors have found. Since 1991, we have been put through the ringer called "U.N. Inspections", simply to hide from us the true reason this war is about to be fought. The goal is the appearance of Antichrist. Is it God's timing? Only events will tell.